Will the Chronicle Herald ever be the same? Veteran journalists and student interns are wary about the paper's future after a year on the picket line. Rallying for local news and the Halifax Typographical Union outside the paper's headquarters on the one-year anniversary of the Herald strike. 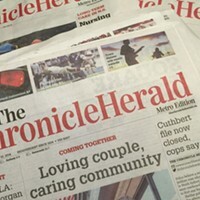 After a full year on the picket line, members of the Halifax Typographical Union are concerned the Chronicle Herald newsroom as they know it will not be able to recover—even if an agreement is met. Union supporters rallied across the province Monday to show support for the 55 remaining members of the Herald’s unionized newsroom staff. 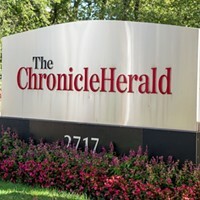 The union and Chronicle Herald management are meeting again this week, after months without any formal talks, in the hopes of coming to an agreement. Roger Taylor, business columnist for the newspaper, celebrated his 35th year at the Herald by putting in a four-hour shift on the picket lines last November. Campbell says he’s enthusiastic about young people becoming journalists but warns any potential Herald interns about crossing the picket line. “I would say to any young journalist to avoid being a scab because I think that label follows you wherever you go and whatever you do from that point on,” says Campbell. 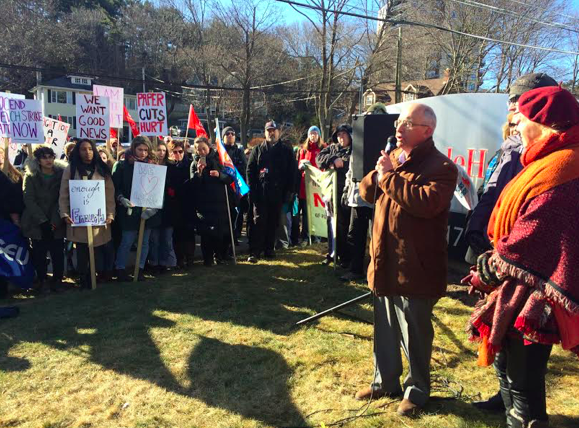 Unfair labour complaint adjourned as labour strike marches towards its one-year anniversary.